Hello and a very warm welcome to Split Silk Wedding Cars. Beautifully restored classic Volkswagen wedding cars. 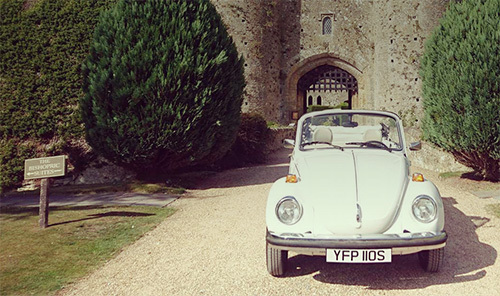 Our company is a family run business based in Camarthenshire, providing personalised chauffeured services in our range of unique and iconic classic Volkswagen vehicles. Split Silk has been created out of a family passion for the Volkswagen and its iconic range of vehicles that have emerged since the 1940's; the iconic Beetle and split screen van that are so universally and instantly recognisable to so many people around the world today. Here at Split Silk we aim to tailor our service to meet your specific needs on your important day. Please browse through our pages to see our family at work. We hope you find something that will make your day but if your heart's desire needs something extra, please don't hesitate to let us know as we will always do our best to make it happen for you. We look forward to hearing from you if you would like to discuss your needs in further detail.